Somehow the BBC show C.B. Strike based on the books by Robert Galbraith (J.K. Rowling) didn't appear on my radar. I'm making up for it now. The series started showing in the US on Cinemax, a station that I get, in June. The first season of the CB Strike TV show on Cinemax originally aired in UK on BBC One, as a mini-series called Strike. Cinemax is now airing all three of the Strike shows. A British detective drama, season one of CB Strike stars Tom Burke, Holliday Grainger, Kerr Logan, Ben Crompton, Natasha O’Keeffe, Killian Scott, and Sargon Yelda. The Cinemax series is based on JK Rowling’s Comoran Strike detective novel series, written under the pseudonym Robert Galbraith. The crime drama centers on war veteran Comoran “C.B.” Strike (Burke). Once again a civilian, working out of a London office, Strike uses his military experience in his private investigation practice. With the help of his new assistant and protégé, Robin Ellacott (Grainger), Strike solves crimes which stymy traditional law enforcement. The Cuckoo's Calling, which makes up the first three episodes of C.B. Strike's seven-week run, was Galbraith's "debut" novel in 2013. But before it reached readers' hands, the press had already leaked the secret. 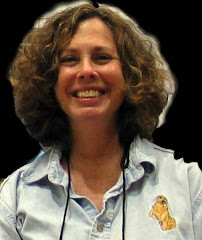 Rowling's name was now irrevocably attached. HBO and the BBC already worked together in bringing Rowling's other attempt at normality, The Casual Vacancy, to the small screen. So HBO hopped in and secured the rights to the BBC's mini-series made up of all three Strike novels. One problem: HBO decided to air C.B. Strike on Cinemax, where it is clearly struggling to find the the reception it deserves from a mystery audience. I'm enjoying the series. It was a smash on the BBC. 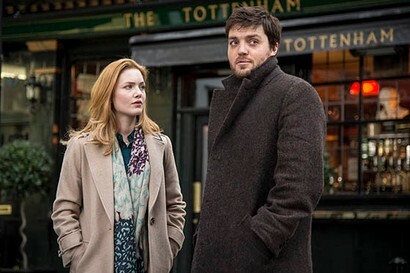 Tom Burke and Holliday Grainger, who plays his secretary/partner-in-murder-mystery-solving Robin Ellacott, have great chemistry. The series on Cinemax includes Career of Evil and The Silkworm. I haven't watched those yet, but I will. Let me know if you've seen this show and what you think. I made a point of catching the last two episodes, based on the third and last novel so far, in the last 48 hours before Verizon yanked Cinemax out of nearly everyone's "bundle" and asked most of us to pay an extra $10/month for it. It's a good series, which began transmission here about the same time here as 100 CODE, the Swedish-Canadian series picked up in the States by WGN America. I liked 100 CODE (based on Ian Rankin's novel) slightly better at first, but STRIKE, as it's known in Britain, has grown on me. Neither will make me forget THE WIRE or HOMICIDE or the overlooked NBC series LIFE, but both are mostly engaging crime drama series, and the casting is a bit better on STRIKE. I suspect it will migrate to a streaming service, or if Cinemax gets something as good as STRIKE or QUARRY or even BANSHEE again, I might subscribe via Amazon, if it's cheaper than going through Veriizon. I loved the books and I loved the series. The chemistry between the two stars positively sizzles. Sorry, not Ian Rankin, but a Ken Bruen novel is the source of 100 CODE. Janet, I watched all of C.B. Strike on Cinemax and loved it. Well crafted all the way around, with a distinctive, elegantly gritty look.